Have you had an experience where you worried that the psychic or medium had done research on your in advance? Let us know by email – on FB – or in the community comments below. 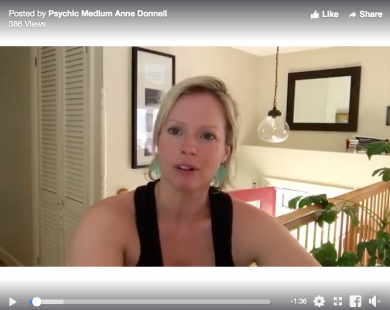 Psychic Medium Anne Donnell on Evidential readings, and googling client information in advance of a reading. Note – one of our readers shared this with us on our FB page earlier today…as she was worried that a psychic medium she had spoken to may have “googled” or read about her on FB, prior to offering an amazing reading – and found this explanation from Anne Donnell (who we don’t know) helpful. It’s important to note that – while Anne’s answer above is a good one – just because someone tells you they don’t do something, is certainly not evidence of absence. (in other words, there are many other precautions we recommend you take prior to speaking to a medium – if the integrity of the information is important to you – rather than just taking their word that they do – or don’t do – something you’re concerned may affect your experience.) We’ve always been super skeptical of the very common “trope” that psychic mediums “Google” people in advance of readings (or plant people in an event audience to listen in to conversations) – BUT – we’ve also learned that many of you, our readers and subscribers – do in fact worry about this quite frequently, so it’s an important topic to explore. More to come….and feel free to share your thoughts with us on FB, by email, or in the community comments below.